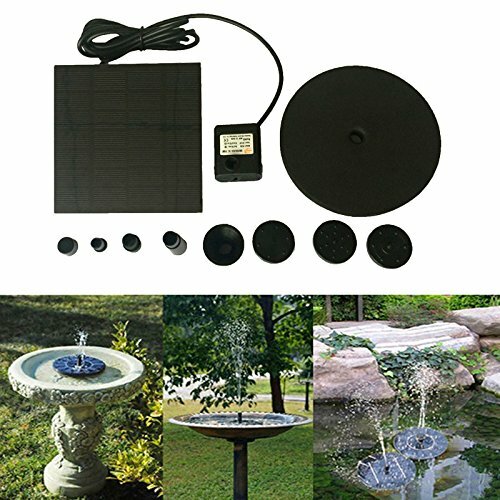 Solar Bird bath Fountain 7V/1.4W Pump with 4 pattern for Garden and Patio (A) | Fountain City Art Ctr. Application: bird bath, fish tank, small pond, garden decoration, water circulation for oxygen. Convenient for Use: Simply cleaning, easily move to different locations, no plugs required. With 4 kinds of fountain heads: Can creat 4 different water patterns.